A Dollar General store in Grant County has been shut down by the health department because of a rodent infestation. MARION, Ind. 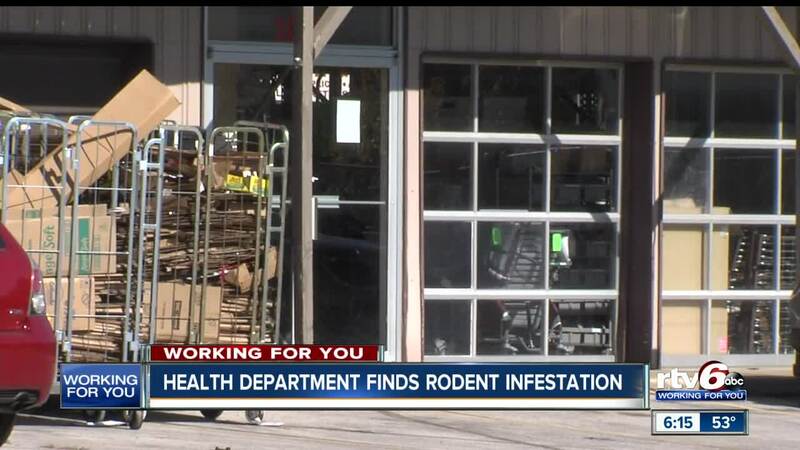 -- A Dollar General store in Grant County has been shut down by the health department because of a rodent infestation. Dean Small, the Food Safety Officer at the Grant County Health Department said he went to inspect the store at 10th Street and Baldwin Avenue on Monday and found live and dead mice in a back storage room. Small says the mice were gaining access to the building through two holes along the baseboards inside the store. The store was immediately closed and the health department ordered them to clean up before reopening. The Dollar General store will need to be re-inspected by the health department before they are allowed to reopen. Dollar General issued the following statement to RTV6 on Wednesday. "Dollar General is working to address the store conditions at our South Baldwin store in Marion, Indiana. We are committed to providing a clean and pleasant environment for our customers and employees and are partnering with local agencies to address the matter. We plan to keep the store closed until these issues are resolved and apologize for any inconvenience this temporary closure may cause."